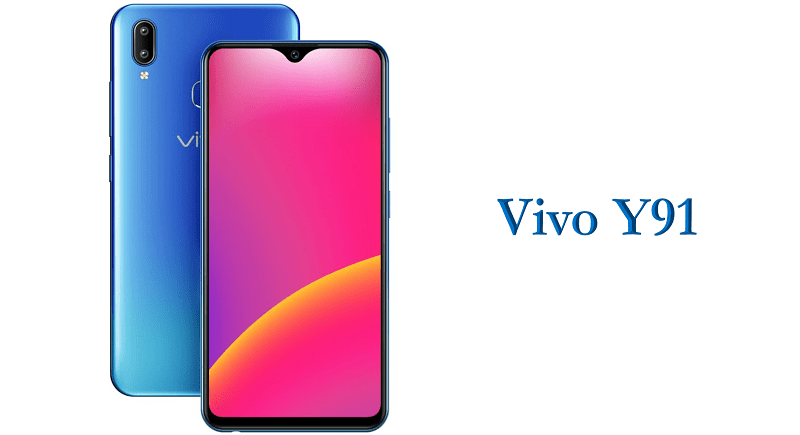 Vivo launched the company’s latest mid-range Vivo Y91 smartphone in the ‘Y series’ in India. The Y91 sports a 6.2-inch HD+ 19:9 aspect ratio Halo FullView display. It is powered by Helio P22 Octa-Core 12nm SoC with 2GB of RAM and runs Android 8.1 (Oreo) with Funtouch OS 4.5. It has rear mounted fingerprint sensor and support face unlock. It has dual rear cameras the primary is a 13MP camera along with a secondary 2MP camera for blur in portraits, On the front side it has an 8MP camera with support for face unlock. It has dedicated dual SIM and microSD card slots and packs a 4030mAh battery. The mobile sports a 6.22-inch HD+ 19:9 IPS 2.5D curved glass display with a resolution of 1520×720 pixels. It is powered by 2GHz Octa-Core MediaTek Helio P22 (MT6762) 12nm processor with 650MHz IMG PowerVR GE8320 GPU and runs on Funtouch OS 4.0 based on Android 8.1 (Oreo). The device comes with 2GB RAM, 32GB internal memory, the storage memory can be expanded up to 256GB using microSD card. It has 13MP rear camera with LED flash, f/2.2 aperture, 2MP secondary camera, f/2.4 aperture. On the front side it has 8MP front-facing camera, f/1.8 aperture. The device supports 4G VoLTE, WiFi 802.11 b/g/n, Bluetooth 5, GPS. It has Dual SIM, Face unlock and rear mounted Fingerprint sensor. The mobile packs 4030mAh battery. The phone has a size measurement of 155.11×75.09×8.28mm and weight is 163.5g. The Vivo Y91 is priced at Rs. 10,990 and comes in Starry Black and Ocean Blue colors. It is available from Amazon India, PayTM, Vivo India E-store and all offline partner outlets.